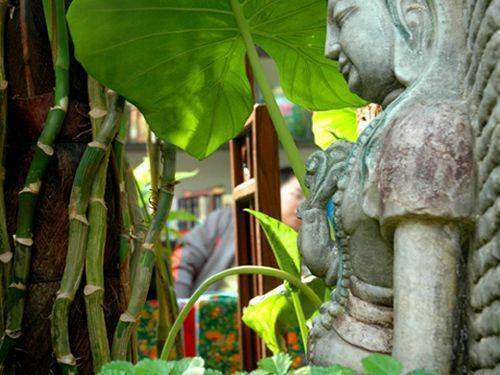 Hutongren Courtyard Boutique Hotel reserves you a quiet, sweet home in Beijing. 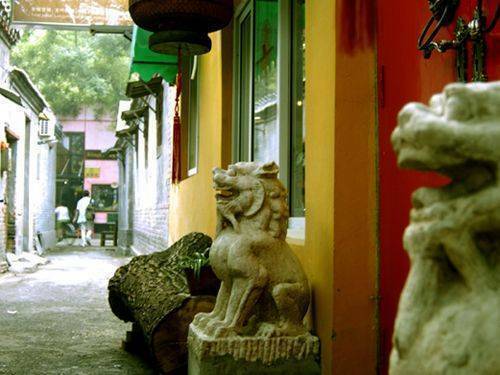 Explore the real Hutong life with us in the South Luogu Lane, city centre of Beijing. Wandering along the narrow and puzzling hutongs, smiling to the lovely local neighbors, watching the blue sky from the roof of the courtyard, listening to the whistle from flying-by doves, watering the garden, walking our puppy, the Temple side house gives you a glimpse of what life should be during your Beijing trip. Local price, real Beijing! Our excellent person-to-person English & French service will give everyone a big help. Before leaving, guests could share a family lunch with us. Easy and relaxing feeling make you just like staying at home . This hotel is established since 4 years ago, reported by many domestic and foreign medias because of our unique style and friendly service in hutongs. Amenities, such as Room service-24 hrs, Free Internet access-Wireless, Laundry service, Business center, Tour Guide and Restaurant. DIY kitchen free of lunch and supper, also guests are welcome to learn Chinese cuisine with us! 1. Metro: Metro Line 5, Beixin Qiao Station, then take No. 124, 108 bus, baochao alley. Walk 100 meters east, nanluogu Lane , then to North 100 meters, that is, No. 71 Xiaoju’er alley. 2. Bus: From the Capital International Airport, take the Airport bus to Dongzhimen bus station, get off transfer No. 124, 108 bus, baochao alley. Walk 100 meters east, nanluogu Lane , then to North 100 meters, that is, No. 71 Xiaoju‘er Alley. Classic Single Room The room offers one classical single bed. The room is not very big, but very fine and smart. 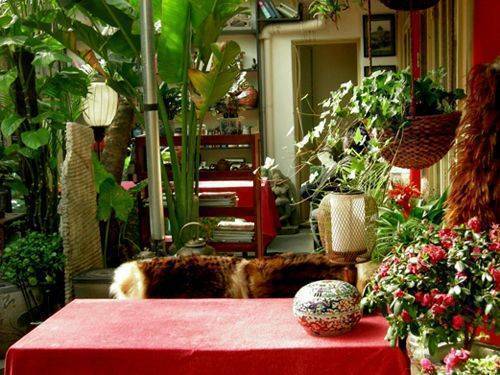 Chinese ancient furniture, books, writing desk, tea, and guests will find some quietude in life. Alone but not lonely. It includes Air conditioning, Internet access, Alarm clock, ensuite/private bathroom, Room service, Bathroom amenities and Hairdryer. Classic Double Room The room offers traditional Chinese style double bed, Easy and relaxing feeling make just like staying at home. Depths of the alley, there is a warm home just waiting for you. It includes Air conditioning, Internet access, Alarm clock, ensuite/private bathroom, Room service, Bathroom amenities and Hairdryer. Loft-Style Double Room The room offers King Bed on the loft and a living room area downstairs. 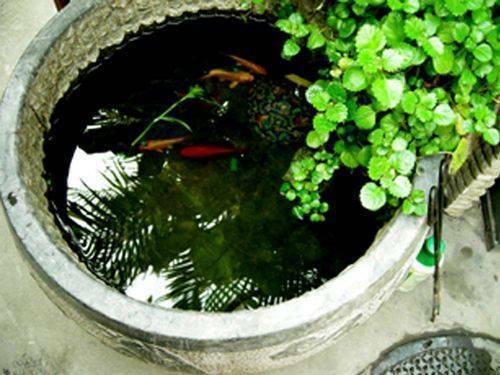 Classical washing basin, ancient dresser and so on, you will enjoy the original ancient Chinese style life. It includes Air conditioning, Internet access, Alarm clock, ensuite/private bathroom, Room service, Bathroom amenities and Hairdryer. Classic Family Room The room offers a bunk bed with a single bed on the top and a King bed underneath. This is the best choice for family travelers. Located in the pretty quiet backyard of the hotel. It includes Air conditioning, Internet access, Alarm clock, ensuite/private bathroom, Room service, Bathroom amenities and Hairdryer. 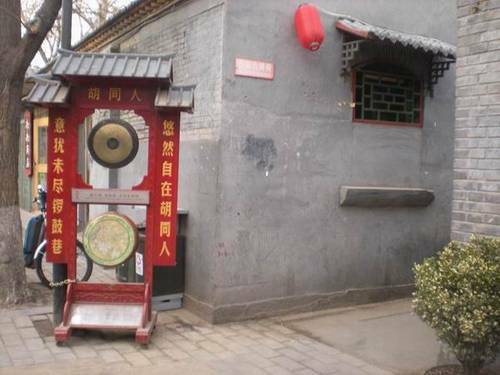 We are located at east of the Drum Tower , about 300m way, then you will find South Luogu Lane, enter it for 100m. 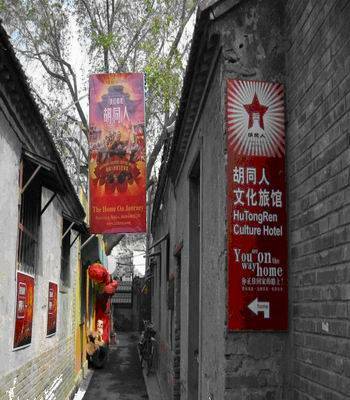 You will find Hutongren on your left, inside the Xiao Ju'er Hutong. 1. Metro: Metro Line 5, Beixin Qiao Station, then take No. 124, 108 bus, baochao alley. Walk 100 meters east, nanluogu Lane , then to North 100 meters, that is, No. 71 Xiaoju?er alley. 2. Bus: From the Capital International Airport, take the Airport bus to Dongzhimen bus station, get off transfer No. 124, 108 bus, baochao alley. Walk 100 meters east, nanluogu Lane , then to North 100 meters, that is, No. 71 Xiaoju?er Alley.